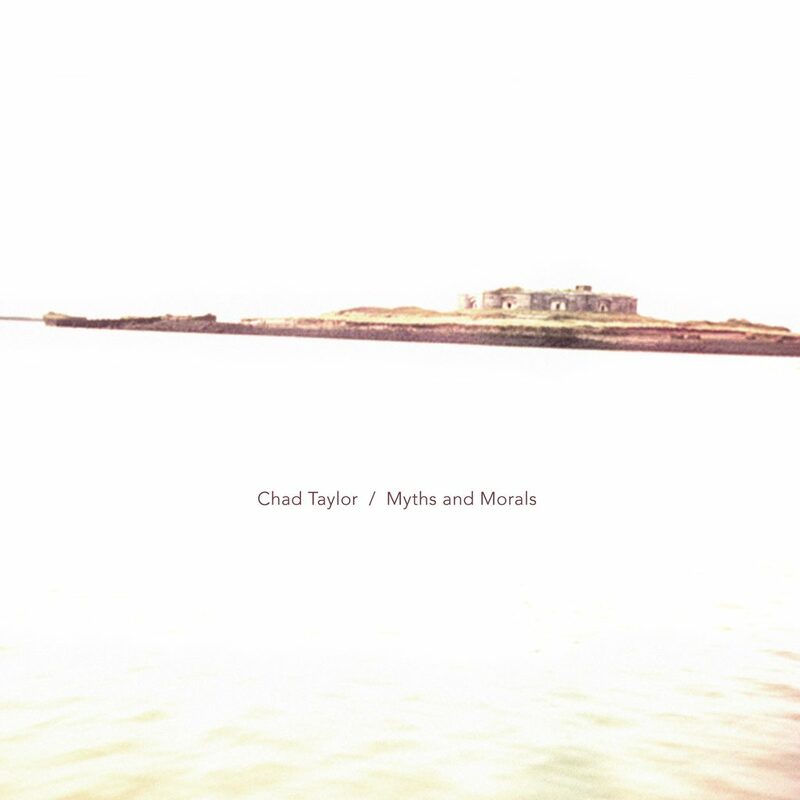 The experimental Chicago Underground lineups, the always-uplifting Digital Primitives, Ribot’s Spiritual Unity project… even with my hermit-like existence, I keep stumbling across the work of Chad Taylor. And that barely scratches the surface of his 30+-year career (feel free to add Fred Anderson, Matana Roberts, Ken Vandermark, Eric Revis, Stereolab, Yo La Tengo, and Taylor’s own Circle Down and Active Ingredients, among others…) But this is his first solo release: the Chad and nothing but the Chad, with drumkit, percussion and mbira (plus a little electric kalimba from Elliott Bergman on the download-only bonus track). So, what’s it like? For starters, this is not your average drum album filled with show-off chops, complex tricks, and a wilfully obscure collection of percussion instruments (that kind of album can be great, but…). “Myths and Morals” is a damn sight more nuanced than that, leaning heavily on a subtle application of texture and colour. The opening is downright spooky. Arcadia’s atmospheric metallic drones overlap over intermittent rhythms, tones of bell-like clarity ebb and flow, and a throbbing, electronic-sounding pulse emerges as a canvas for Taylor’s delayed mbira messages. Enter a more conventional drumkit for Phoenix and Taylor takes his time, building the piece slowly, deliciously sparing to start before building to a detail-rich density. The Fall of Babel continues the theme of restrained mastery, putting technique and precision at the service of an emotional ride. Bowed and scraped cymbals give Carnation its eerie ambience, then Gum Tree returns to the mbira, so up close and personal you can hear the flesh-metal contact. Abtu and Anet plunges into a mutant Mardi Gras that then changes gear to an increasingly minimal cymbal meditation. The closer, Island of the Blessed pairs the mbira with a delay pedal to gradually envelope the listener in a pulsing cloud shot through with buzzing tones before Taylor shifts to a display of drumkit artistry for the middle section. The final moments are straight from an electronic temple. The bonus Simcha is a duo track with Bergman, faster-paced, more ‘dancefloor’, the shift in tone acting as a teaser for directions this music might explore in future. It’s cool stuff, at times even mellow and contemplative. Incredibly intimate, surprising, and certainly hypnotic. Most of all, perhaps, utterly absorbing.